Lately I’ve been refactoring my IRC client to use a MVVM-like architecture. In MVVM ViewModel should not know of GUI in any way. 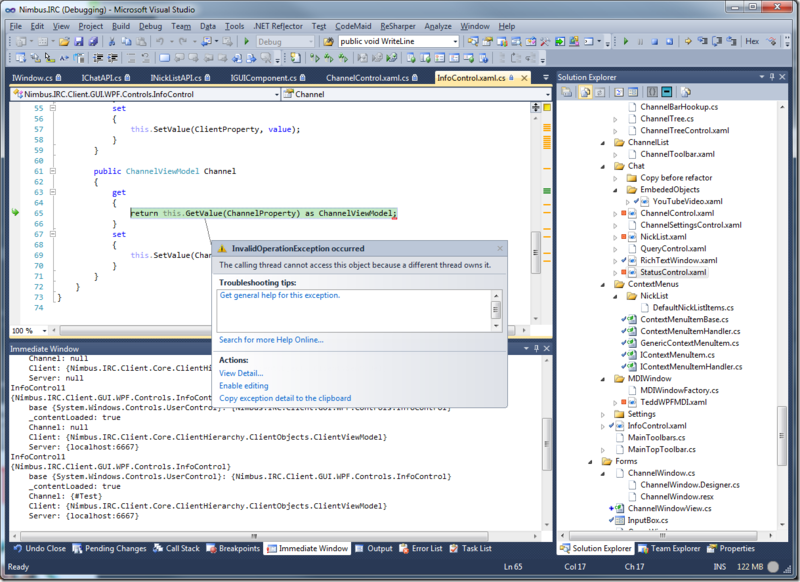 WPF has a lot of goodies that works well with MVVM. 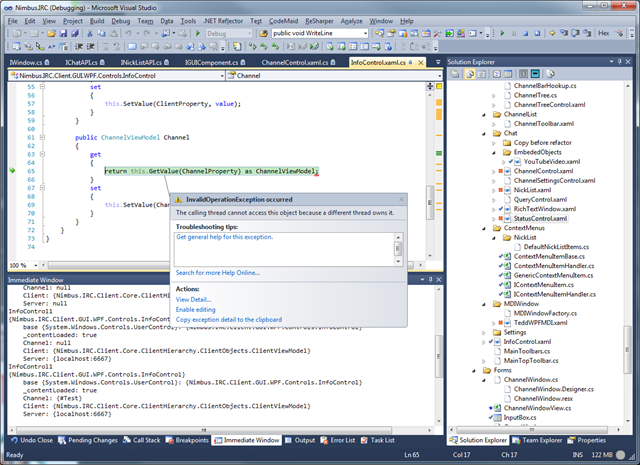 But both BindingList and DependencyProperty requires GUI thread invokation…??? Basically this means that manipulation of lists in ViewModel requires a reference to GUI to pick up GUI-thread?